A French door is a door which is generally comprised of panels of glass that are separated by aluminium or uPVC partitions. While the sections of glass are normally rectangular, some models offer unique shapes such as ovals or squares. Most customers will choose a French door when they are looking to add an element of style within their home. For instance, these units are often employed to separate two different rooms such as a kitchen and a dining room. They are also frequently seen leading to areas including conservatories and to the back garden. One benefit of the typical French door is that it is able to allow much more light into the home. 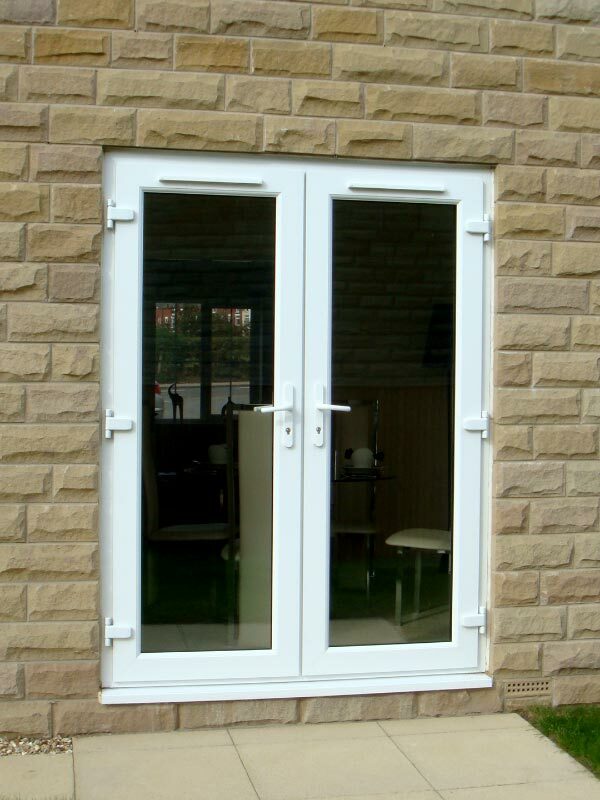 This could be an ideal choice for smaller environments or if existing double glazing windows are not sufficient. In fact, French doors can even reduce heating costs over time due to the amount of sunlight that will enter into a room. We should still point out that modern French doors are quite durable. Fashioned from safety glass and reinforced partitions, they can last for decades when maintained regularly. Units which are intended to lead to the exterior will often use double or triple glazed panes. These will help to reduce the amount of sound from the outside world. Ideal if you live near a busy motorway. These are some of the differences between composite doors and French designs. Each boasts its own set of unique benefits and features. Understanding such characteristics is crucial when deciding upon a certain variant. Homefront Windows will be glad to answer any additional questions that you may have.